Life drawing is an essential part of any artists portfolio as well as a fantastic way to sharpen up observational skills. This is a weekly relaxed class which runs every Monday from 7.00-9.30pm in White Waltham village near Maidenhead, Berkshire. 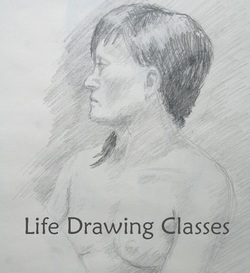 Discover the art of life painting by taking your life drawing to the next stage or jumping straight into working from the figure as a beginner. The course will cover proportion, values, colour and good general painting practices. Takes place at South Hill Park Arts Centre, Bracknell, Berkshire. 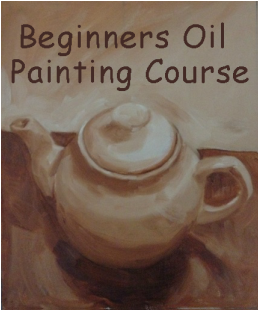 A beginners course in Oil Painting. Starting right from the beginning and covering the basics such as colour theory and tones, right up to brush work skills and blending. 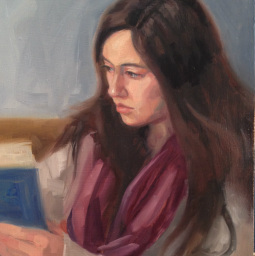 Learn the art of portrait painting by spending a whole day working from a model, focusing on proportion, structure of the head, values and colour. Takes place at South Hill Park Arts Centre, Bracknell, Berkshire. For those who have a little experience in painting with oils, this workshop is designed to help you go where you want with you own painting. Bring along a half finished piece or start a new one - the course is designed to be flexible and to fit around your aspirations. Come along to just one session or book up a few!